Scoil Rince Slieveloughane (SRS) is Irish for Hillside Lake Dancing School. Hillside Lake or Slieveloughane is the name of Robert’s family homestead back in Connelly, County Clare, Ireland. Robert Haley began dancing at the age of four in his home state of Connecticut. Years and years of training under the tutelage of Mae Duffy, ADCRG led to his placing in the New England Championships, The North American Championships, and qualifying to attend The World Championships in Ireland. In 1994, he began to student-teach dancing for the Duffy Academy while attending the University of Connecticut. This enriching experience led to his discovery that his true desire was to teach Irish Dancing. After graduating from the University of Connecticut with a B.A. in Art History and a B.A. in Anthropology, he moved to Washington State. 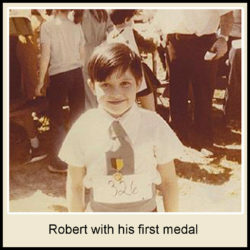 It was here that Robert decided to put his dream and talent to work by opening his own dance school. In 1996, he successfully completed the TCRG examination given by AN COIMISIUN LE RINCI GAELACHA, the governing body for Irish Dancing and Irish Dance Teaching Certification. 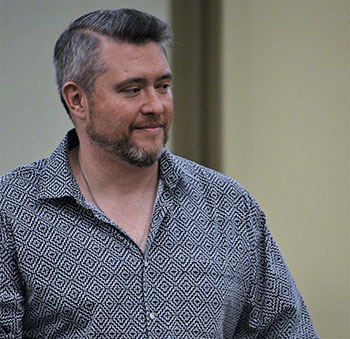 He is one of just a handful of Irish Dance Teachers in Washington with a Teasgicoir Coimisiun Le Rinci Gaelacha Certification. SRS has been established in the Pacific Northwest since 1996 and there are currently studios all around the Puget Sound. His students range from young children to adults and from very beginner through championship levels. The school trains dancers for competitions, performances, or simply recreation. Along with the dancing instruction, Robert enthusiastically instills in his students a sense of Ireland’s rich history. He is happy to share his talent, knowledge, and experience with those who would like to learn about Irish Dancing. The Slieveloughane Irish Dance Company was established in 2000. Seasoned dancers from the school came together under Robert’s gifted leadership and creative choreography to form a troupe that is both versatile and dynamic.